I personally think ice-cream is a food group, and the best food group at that; it’s hard to deny that the cold treat is a winner all year long. 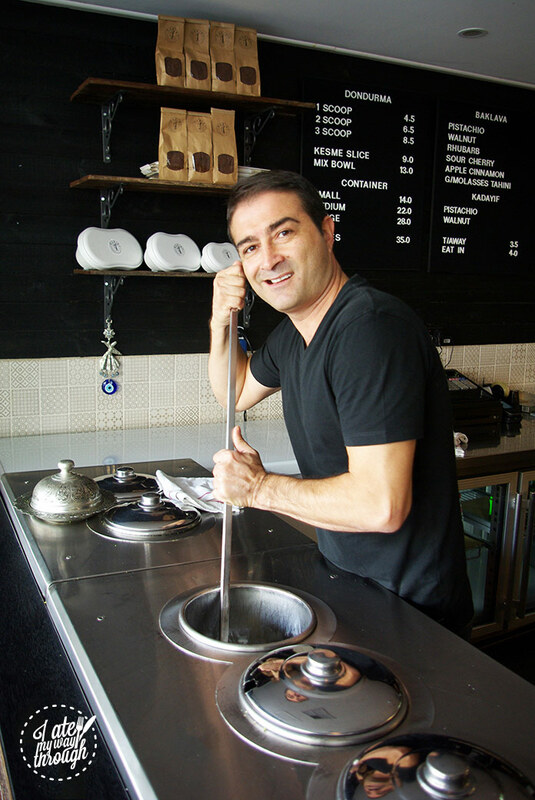 Sydney has an abundance of fabulous ice-creameries and gelaterias so today we kick off our ice-cream series, starting with Hakiki Turkish Ice-Cream in Newtown! One of the most memorable places I’ve traveled to is Turkey, and I would go back in a heartbeat. Even spending a couple of weeks there I barely scratched the surface of the amazingly historic and beautiful country. I ate Turkish ice-cream in Turkey of course and was beyond excited to visit Hakiki to experience it again. Walking into Hakiki, the focal point is instantly on the wallops of freshly made Maras (Turkish) Ice-Cream in a variety of colours and flavours. The shop is decorated with dark wood and filled with traditional Turkish lamps, coffee pots and serving plates. Nev, the owner greets me with a smile and invites me to sit down. He is very friendly and this adds to the warm atmosphere of Hakiki. 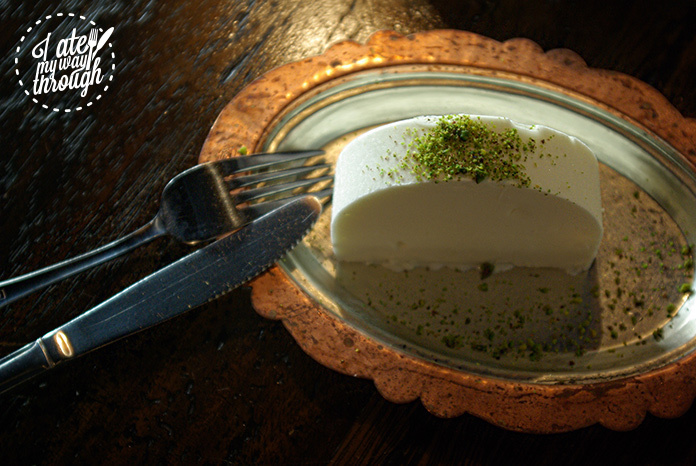 Maras (Turkish) ice-cream dates back to the early 1600s and at that time it consisted of milk and sugar. Nev explains that this is “where ice-cream began”. Back in the 1600s they didn’t use things for flavouring, as everything was considered food. 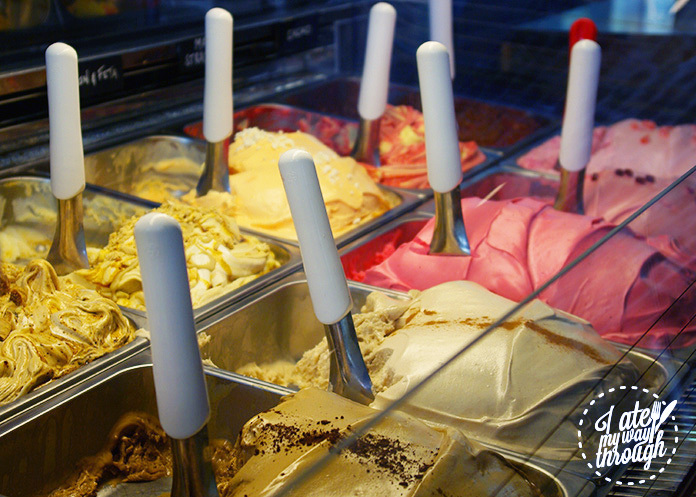 Maras ice-cream is different from many other ice-creams or gelatos because it is hand churned to get rid of any air in addition to being made in a completely different process. It becomes a solid, stringy entity that is also more melt-resistant. This is from the Salep — the root of an orchid from Southern Turkey that is used in the ice-cream’s preparation. The most entertaining way of eating Maras is traditionally and it is the only ice-cream that I’ve eaten with a fork and knife. Nev explains that this is the correct way of eating it, especially if you have a side of baklava. This plain ice-cream is creamy and refreshing, made from milk and sugar. It is topped with some crumbled pistachios to as Nev said, “give it some crunch”. I definitely recommend sitting down and trying it for yourself. 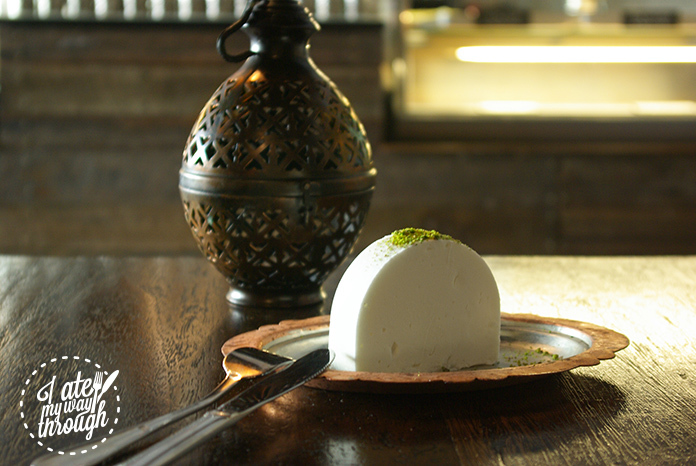 In addition to the plain ice-cream, you can feast on some of the more traditional Turkish flavours. Nev says they use flavours “close to our hearts”. They are flavours that you would be able to find in your backyard in Turkey. My favourite: Melon and Feta! Melon and Feta was the perfect combination of sweet and savoury, sweet and salty. The saltiness of the feta paired with the refreshing and sweet melon to create an ice-cream I could eat every day. Everything at Hakiki is made with real and fresh ingredients. 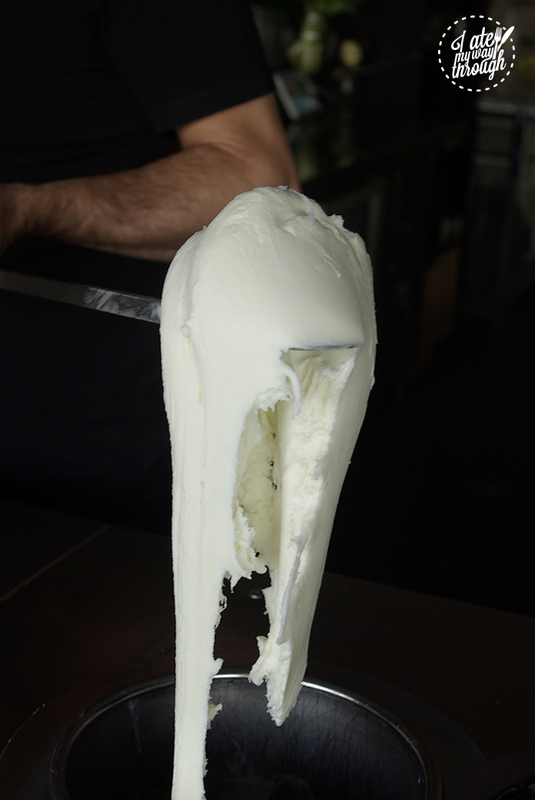 Nev learned how to make Maras ice cream on one of his stints living in Turkey. 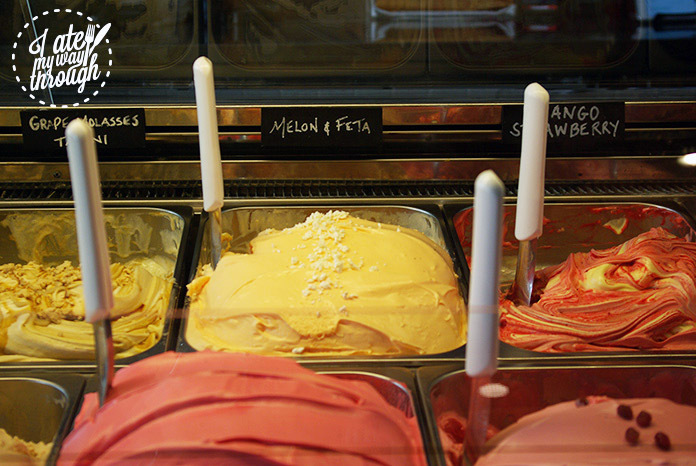 He studied the traditional methods of making this type of ice cream in the town of Kahranmanmaras where it originated. 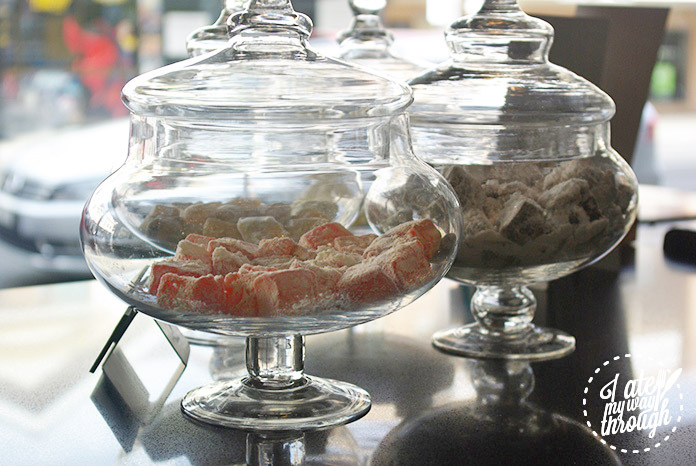 Now if you need to add something to your Turkish ice-cream experience, then the Turkish coffee, Turkish delight and baklava are a must and really add to a serving of ice-cream. 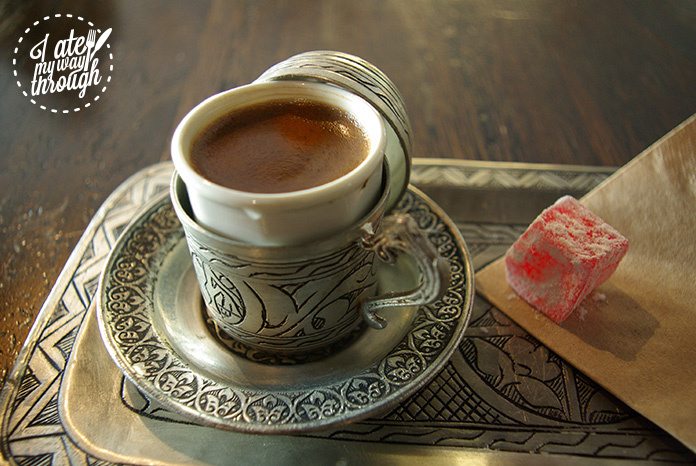 The coffee is served strong with a side of cold water and a piece of Turkish delight to offset the strength. I’ve had baklava many times, and sometimes I find it too sweet. 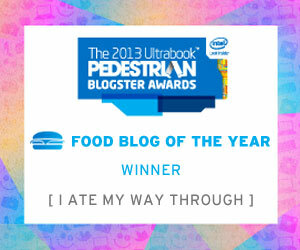 Sometimes it tastes as though I am eating syrup. 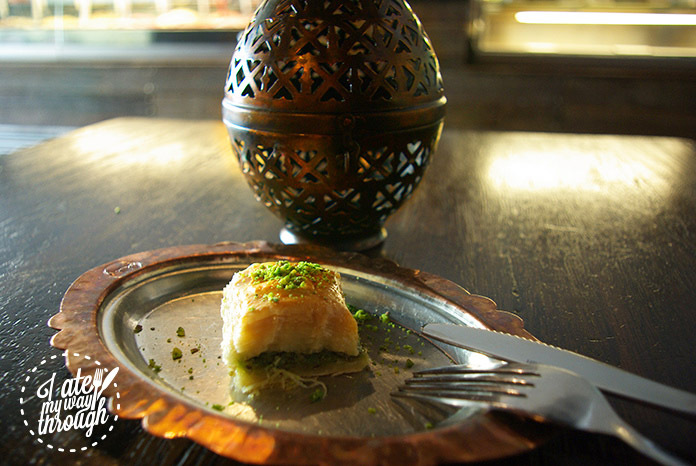 The baklava at Hakiki is sweet, of course, but mildly so. It gives you the ability to enjoy it without being overwhelmed by sweetness. I could eat an entire tray. Coming back to the ice-cream, eating Maras (Turkish) ice-cream with a knife and fork all whilst actually chewing the ice cream is fun and enjoyable. It definitely changed my view of ice-cream. Canadian born and raised, Bradlyn has always had a passion for travel and food. She loves experiencing new adventures and cuisines, and her favourite thing is getting on a plane to the next great place. Whether it’s trying Slovakian food in the middle of the mountains after a 7 hour hike or eating a full Turkish meal aboard a Turkish Gullet, the food is something Bradlyn never forgets. Bradlyn is studying her Masters degree and slowly making her way through the amazing food and experiences that Sydney has to offer. Bradlyn has a major sweet tooth and can’t pass up the opportunity to try the next great dessert. Ice cream is definitely her favourite food group.